When you think of Mazda’s motto, “Driving Matters,” you should also realize that so does the dealership where you decide to make your purchase. Whether you’re in the market for a new, used, or certified pre-owned model, choosing the right Mazda dealership is just as important as picking out what to purchase. For those of you living in and around Albany, NY, the choice is simple: DePaula Mazda. 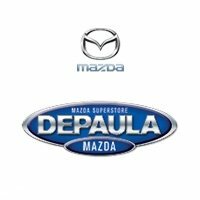 If you’re trying to determine which is the best Mazda dealership near me, trust the team at DePaula to prove why they are. Mazda is constantly innovating and evolving its brand, just like DePaula is expanding to offer more manufacturers and models than ever before. Customer service is the DePaula team’s main objective and whether you’re working with the sales, finance, service, or parts department, you’ll quickly see the DePaula difference. Long trusted by residents of Albany, Schenectady, and Pittsfield, Massachusetts – not to mention those in surrounding areas, the team at DePaula has dedicated themselves to fostering a loyal client base by doing business with integrity and supporting our community. When you’re ready to consider your next – or perhaps very first – Mazda purchase, let DePaula’s expert associates be your guide. At DePaula Mazda, our sales associates pride themselves on presenting you with the best options available, based on your unique driving needs and desires. We will not force a sale or pressure you into making a purchase on a vehicle that isn’t exactly what you had in mind. We leave those shady tactics to the other guys – the ones who are exclusively concerned with their bottom line. As far as we’re concerned, when you shop with us you’re the priority – not our own profit. To prove this, we put you in charge so that the entire shopping and purchasing experience is done at your pace. Because of our commitment to customer satisfaction, we rather you take all the time in the world to hone in on that exact vehicle you’ve been wanting; instead of rushing the decision and possibly driving away under the shadow of buyer’s remorse. Take your time and consider your options. With Mazda, you’ve got plenty to choose from. Maybe a sleek sedan is the car you need to conquer the commute in style? Or, depending on the size of your family, a crossover or SUV might be just what you’ve been missing to crush carpool, manage gear and groceries, and still strike the right note at the valet on date night. Whatever you need from your vehicle, Mazda has models that will deliver. In fact, you can even start by visiting our website and browsing the models listed there. We’ve even broken the inventory down into its own tabs and pages, according to whether the vehicle is new, used, or certified pre-owned. Actually, you can explore very specific collections of cars, like used cars priced under $10k, as well as certified pre-owned and Mazda certified pre-owned vehicles. Just as you weighed your daily demands, do the same with respect to your budget. Sure, a new Mazda would be amazing, but maybe a certified pre-owned variant puts you in a better spot, financially. Once you think you’ve isolated your target, call or come by the dealership for a test drive. Let one of our expert sales associates teach you about the car’s bells and whistles and answer any questions you may have. Remember, you’re still in research mode, so you will not have to endure any pressure to buy or make a decision that day. Or even the day after that. You set the pace and we follow your lead. Another challenge for shoppers at most dealerships involves the financing process. Even those with outstanding credit and robust bank accounts cringe at the very idea of sitting through what feels like endless paperwork and scrutiny over price points and potential loan agreements. Often, other dealerships will attempt to rush their customers through this process in an attempt to pull one over on them, either with unnecessary fees or add-ons. Naturally, this leaves customers feeling taken advantage of (because they were), which deflates the excitement of their new purchase. Part of the DePaula difference involves transparent pricing and a complete understanding between the finance department and the customer so that no one is left feeling in the dark or unsure of what their scrawled signature actually agreed to. Our highly trained sales team is patient and perfectly suited to answer all your questions and explain each step of the process. We won’t let you leave without feeling confident in your loan terms. If you find that you have a question or two after the fact, we encourage you to call and let us run through the agreement with you again. Similar to researching your desired Mazda model, you can also start the financing process online, courtesy of our online application, and handy tools that allow you to value your trade (if you have one), and even approximate your monthly payments via our online payment calculator. Arming you with knowledge is another demonstration of DePaula’s commitment to our customers. Whether you ultimately purchase new, used, or certified pre-owned, your Mazda model will require ongoing maintenance, possibly even an unexpected repair following an issue on your commute. Who knows? What we do know is that DePaula Mazda’s service department is staffed with an expert team of highly trained and certified technicians. This crew will handle your routine maintenance or tackle any unforeseen repair needs you might encounter. We only use OEM parts for our maintenance and repairs, so that you know you’re getting quality that you can count on. Our parts department also offers an impressive range of parts and accessories designed to help you customize your ride or shine up its bells and whistles. As with DePaula Mazda’s sales and finance departments, customers can access the service department online and even schedule an appointment online. Not sure you need an appointment? Simply ask the team via the “contact team” button and one of our technicians will get right back to you with an answer. See a part you just have to have for you Mazda? Order online or contact the parts department ahead of your order to make sure you’re requesting the right part or accessory before you make a purchase. What good are all of the perks and benefits of the DePaula difference if you can’t access them? That’s why we’ve situated DePaula Mazda right of I-90 in Albany, making it easy to find right off the highway, no matter where you’re traveling from. When you are ready to visit, come by at a time most convenient to your schedule. Another part of customer satisfaction requires business hours that work for you. That’s why our sales, service, and parts departments are open Monday through Saturday. We are closed Sunday, which intentionally reflects the family values that drive our business. Our team, and your team – your family – needs to enjoy a break from the hustle and bustle of the work week and hectic schedules. Driving matters and so does your dealership. Choose DePaula Mazda and treat yourself to the DePaula difference.